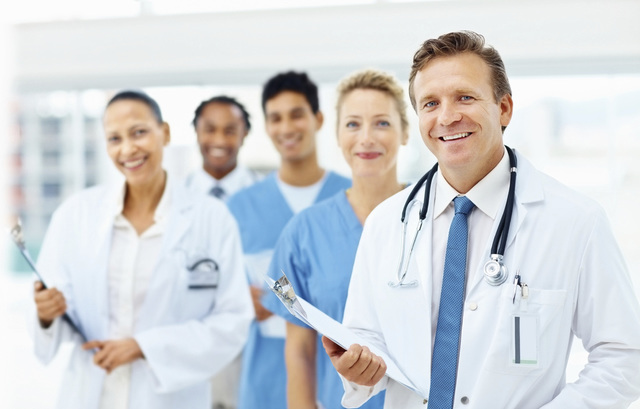 At admissions, our unique patented use of PDF 417 barcode technology uses your existing patient information data stream to print a ‘Master’ Patient ID label. The Master label is then used to produce chart labels and wristbands anywhere they are needed in the facility. This system operates off-line and is independent of your mainframe systems. No longer will you be wasting material costs by having to produce an entire sheet of labels to get just one label. 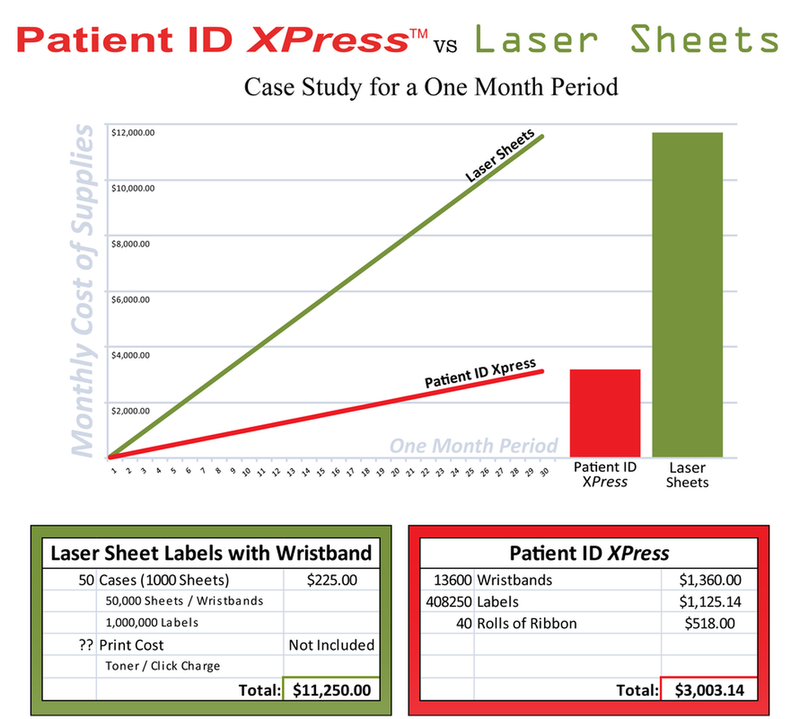 Online or Offline printer for printing either patient master labels or patient chart labels. Comes with a keyboard for downtime master label creation and a scanner for re-printing chart labels. Online printer for printing wristbands. Includes off-line scanner for printing downtime wristbands. Simply scan the patient master label to print barcoded wristbands. Have the ability to produce patient labels anywhere. The new portable label system produces labels without the need of power outlets or network connections! A Smaller version of the ALPHA - 4BPOC. Have the ability to produce patient labels anywhere. The new portable label system produces labels without the need of power outlets or network connections! With over 14,000 systems sold our focus is primarily on barcode labels and wristbands for patient identification in hospitals and clinics. This solution will improve your current process and save you up to 63% off your current sheet labeling and wristband system. Come see our labeling and wristband solution and our new and improved ComfortBand wristband for the most, comfortable, cost effective, thermal wristband ever produced. ​The healthcare industry continues to be under pressure to provide quality service at reduced costs while trying to comply with increasing regulatory requirements. For every hour of patient care provided in a hospital at least 30 minutes of paperwork is generated!